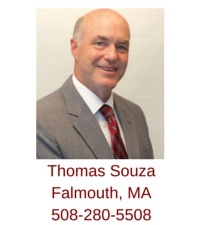 Attorney Thomas Souza helps first-time home buyers, as well as those more experienced in buying real estate, in Falmouth, Massachusetts, as well as surrounding Cape Cod and Plymouth County cities and towns, including Sandwich, Masphee, Bourne and Plymouth. You can reach Tom by email, or by calling his mobile phone (508-280-5508) in order to schedule a personal home buyer consultation. 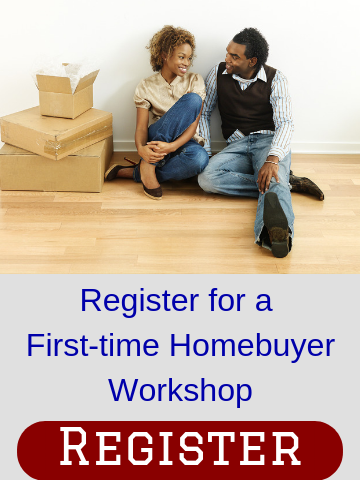 Tom will discuss your home search wants and needs, explain the home-buying process from financing through closing and answer all your real estate questions at a location that is convenient for you. A licensed real estate broker in Massachusetts who only represents home buyers, Tom is a member of the National Association of Exclusive Buyer Agents, Cape Cod & Islands Association of REALTORS, Massachusetts Association of REALTORS and National Association of REALTORS. Tom received his Bachelor's of Science in Psychology from Northeastern University in 1984. Upon graduation, he spent the next six months as a crew member aboard the R/V Albatross, sailing out of Woods Hole, MA on various research trips. In 1985 he attended Officer Training School for the United States Air Force, receiving his commission as a Second Lieutenant in January of 1986. He then spent the next six years serving his country and earning the rank of Captian before receiving his honorable discharge in 1992. Tom attended the Massachusetts School of Law and earned his Juris Doctor degree in 1999. He has been practicing law since then, initially with small firms located on Cape Cod before setting out as a sole practitioner in 2005. He has primarily handled real estate law and bankruptcy law matters. A native “Cape Codder”, Tom was born, raised, and currently lives in Falmouth. He met his wife Karen while they were stationed together at Griffiss AFB in upstate New York, and they have three boys. Tom has volunteered his time as a coach for both baseball and hockey teams in town, as well as serving six years on the Board of Directors of the Falmouth Youth Hockey League. Tom enjoys running and is an avid fisherman, usually roaming the banks of the Cape Cod Canal on any given weekend morning before the sun comes up. Tom can be reached by email, or by calling his mobile (508-280-5508). 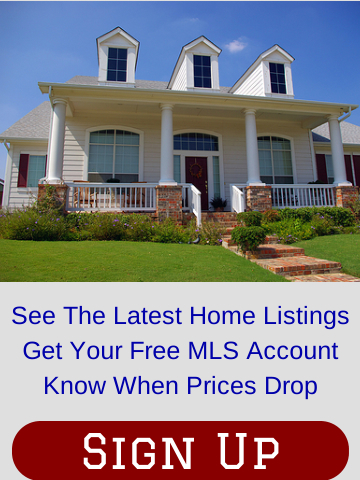 Fill out the form below to see the latest listings in Falmouth, MA; Sandwich, MA; Mashpee, MA; Bourne, MA; Plymouth, MA; and surrounding Cape Cod and Plymouth County communities. Client: Paul D. and Barbara D.
"Tom Souza was my Buyers Brokers Only Broker for the purchase of my home. We worked with Tom for months before we found the house that fit all our requirements. Tom has a wealth of knowledge of the Cape Cod market. He supplied us with a large supply of listings that fit our price range and criteria, which he continually revised as he better understood our needs. He was very accommodating when we scheduled viewings on the weekends. Once we found the property we decided to buy, Tom was there every step of the way offering advise and making sure that the deadlines and information needs that were required were met. Tom is professional, courteous and always advocated our needs and position in any dealings. He is a great Buyers Agent and I am going to recommend him to all my family and friends, if asked."